The smart speaker market has created ripples of anticipation among modern day consumers. With more and more products making inroads in the smart industry, companies have been focusing on using connected devices to raise the efficiency of existing operations by a few notches. Ever since the advent of the smart era, leading tech giants such as Apple and Google have been engaging in a fierce battle to gain the upper hand in terms of smart product development. The trend, which is perpetually consistent even in today’s business scenario, will be one of the key driving forces behind the growth of the smart speaker industry. The recent trends of IoT and artificial intelligence have had a commendable impact on the development of smart speakers. The robust proliferation of the internet has further aided market growth in the last few years. Apart from the rising penetration of consumer electronics and high demand for wireless connectivity, technological interventions have also allowed manufacturers to introduce products that are not confined only to playing music, but have extended their applications to problem-solving, setting reminders, and the streaming of news and music with a single voice command. Integration of virtual assistant software has further played a pivotal role in reshaping the business model of prominent contenders. According to the Global Market Insights, Inc., the overall smart speaker market size is excepted to reach U.S. $30 billion by 2024. How is the Smart Speaker Market Progressing Globally? The United States, being one of the most progressive nations as far as technological penetration is concerned, observes an upper hand in the global smart speaker industry. Increasing regional demand for wireless connection and rising IoT applications is driving the U.S. smart speaker market. But the one factor that has been undeniably impelling the regional industry is the escalating penetration of smart homes. As per Global Market Insights, Inc., the German smart speaker market size will reach over U.S. $3 billion by 2024 due to an increasing use of home automation in the country. Several players in the country are developing these devices to cater to the exponentially increasing requirements of the consumers. For instance, researchers at the Fraunhofer Institute for Digital Media Technology are playing a vital role in the development of these devices by designing a combination of loudspeakers and microphones for smart voice control. Smart speaker technology can be further segmented into Intelligent Virtual Assistant and Application. Intelligent Virtual Assistant is classified into Alexa, Google Assistant, Siri, Cortana. While Alexa and Google Assistant currently reign, Siri-enabled smart speakers are expected to witness a significant growth during the forecasted timespan due to the large established market of Apple and iOS for the smart devices. Furthermore, Siri provides deep integration technology, which will increase the popularity of these devices among the consumers. Application is classified into Personal, Professional, and Commercial. The smart speaker market is expected to witness a surging demand due to the increasing desire for personalization. The majority of early adopters of these devices are affluent, educated millennials. However, the devices are gaining traction among other demographic groups such as Gen X youth and children. These devices allow a high degree of personalization that appeals to consumers, propelling market growth. Prominent players in the smart speaker market comprise Amazon, Apple, Google, Sonos, Sony, Onkyo, Fabriq, Harman International, and Lenovo. 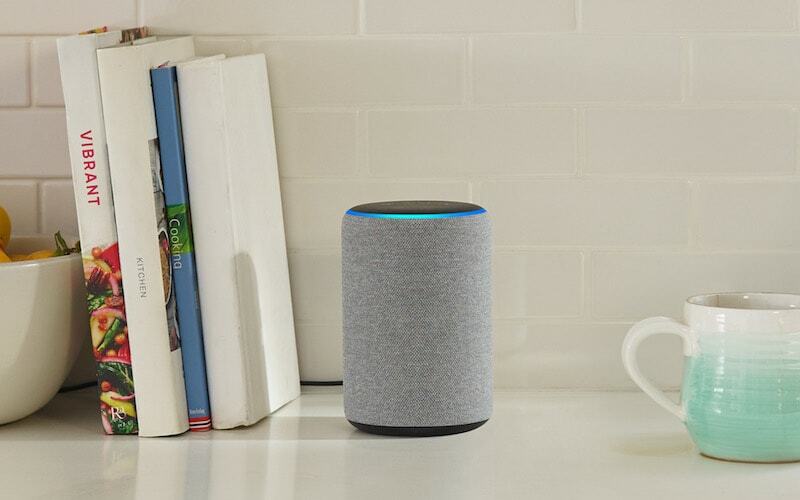 Despite having associated risks such as security breaches and data threats, the smart speaker industry is certain to witness phenomenal demand over the coming years. The projected growth curve of this market aptly justifies that this vertical holds a tremendous set of opportunities for application developers, component suppliers, network operators, and several other vendors. This article originally appeared on Residential Tech Today. Previous article Were You a Victim of the #10YearChallenge?